No brand could rival the popularity of a Yamaha motorcycle. They offer refined engines along with good performance and good mileage. But the Yamaha scooter is a completely different story. With strong competition from Honda, Aprilia, Hero, Vespa, TVS, and among other brands, Yamaha has to offer something different. Moreover, the one thing Yamaha has nailed down is the price. Despite sharing the design element with the likeness of Honda and Vespa, it is somehow original. What comes to your mind when I say: Yamaha? Motorcycles. Yes, Yamaha needs no introduction. The term Yamaha and Motorcycle go hand in hand, thanks to a rich history that started in 1955. Six decades later, Yamaha’s motorcycle sales are the second largest in the world. But you didn’t click the article to know about Yamaha’s history, did you? You might be familiar with Yamaha R15 V3, FZS, among others. But, are you familiar with Yamaha’s scooters? So, without any further delays, let’s just jump into it! MAW Enterprises is the authorized distributor of Yamaha motorcycles in Nepal. Right now, Yamaha sells three different scooters under the 110cc category. Although each scooter looks and feels different, the overall engine performance remains the same. 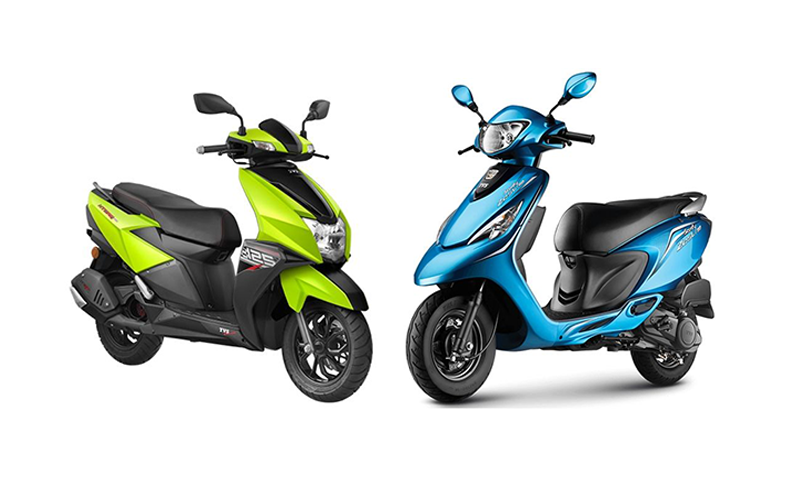 Moreover, the design, the visual appeal, and the styling will play a major role in choosing a scooter, at least for a Yamaha scooter. So, here’s the complete list of Yamaha scooters in Nepal along with its price and their key specifications. Yamaha RAY Z shares the similarity with its predecessor, Yamaha Ray. 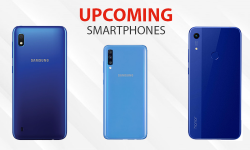 In comparison with its predecessor, the key difference is the design while the mechanical specification remains the same. The overall look has been revamped to attract more riders, especially with a premium-feel design, it surely will. Furthermore, it features a smoked-finish visor, a new instrument panel, a carbon fiber patterned seat, and aluminum rear grabs-bars. RAY Z adapts an air-cooled 4-stroke 113 cc “Blue-Core” Continuous Variable Transmission (CVT) Engine. You will get a smooth start-up acceleration along with a good pickup. Combine that with great fuel mileage, it’s a win-win situation. Considering every Yamaha comes with a refined engine, you should expect the same with the Ray Z. 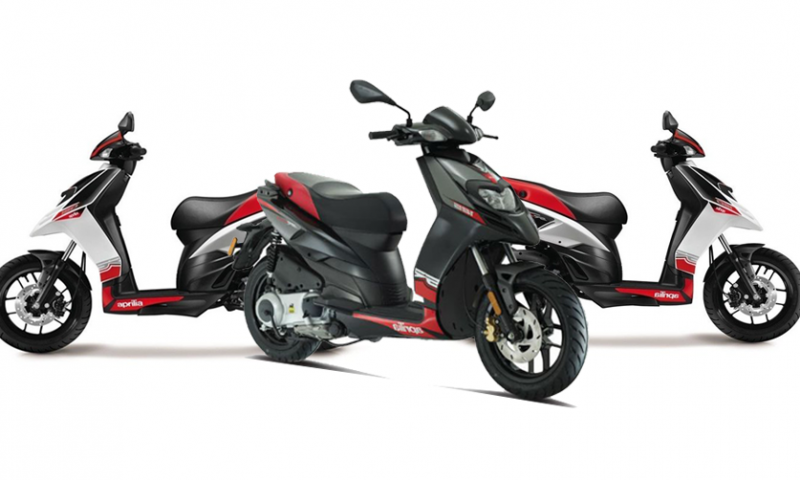 However, if you really think about it, Yamaha Ray Z looks like a Honda Grazia trying to compete against Honda Dio. While it does look like Yamaha trying to copy Honda up to a certain degree, the choice of buying the Ray Z or not will ultimately be yours. Yamaha Fascino is the scooter for those who love the retro design. The curvy styling and the chrome-treatment brings the definition of the neo-retro scooter. Style with an attitude, that’s the moto. 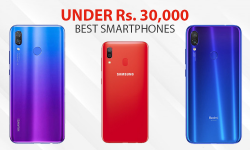 Witness the mantra as it gives off a premium vibe, even though, the price still falls under the budget. Fascino smartly uses plastic-resin parts and thorough weight-reducing design measures. Whether you use it for commuting or show it off with your friends, Fascino can do it all. So, peg your jeans, step onto this glamorous neo-classic scooter and you will lose count of the heads that you turn. Unfortunately, other than the design, there aren’t many features to point out. Features like USB charging slot and dual disc brakes seems missing. Maybe, Yamaha has a love-hate relationship with USB slots just like Honda with engine kill-switches, who knows. At the end of the day, Fascino is a good-looking scooter that might have a few missing features, but it still stands out from the rest. Furthermore, it is neo-classic scooter at an affordable price, which is rarer than finding an engine kill-switch on a Honda motorcycle. What does the R in ZR stand for? According to Yamaha, its a “Next-Generation Real Boy’s Scooter” or simply “Real Boy’s Scooter”. The name might sound a little cheesy, but it holds some truth to it. As it follows a complete redesign of the Ray Z series. Offering deeply-sculpted front mask, effortlessly-layered straight lines, and tail surrounds accentuated with a sense of speed. Aimed directly towards riders who want a sporty yet classy scooter while still remaining under a certain budget. Without a doubt, it is remarkable how Yamaha is able to provide a performance-scooter, even at a 110cc segment. Ray ZR comes with Yamaha’s own “Blue Core” Engine along with CVT. It features a lightweight, glamorous design while offering more to the table at the same time. It goes all out with claimed fuel mileage of 66kmpl, larger storage space, improved instrument cluster, and tubeless tires. Furthermore, the new exterior design gives off a sense of dynamism and ruggedness. Optional features include disc brake adds a huge advantage to the Yamaha Ray ZR. Although, the absence of ABS or CBS is kind of disappointing. Yet again, Yamaha has opted out in standard features like USB charging slot and passing light. You can get Ray ZR in three different variants. Among those, Street Rally Edition is a newly added variant with features like knuckle guard and new improved design. It improves on its predecessors, especially with the digital instrument cluster. 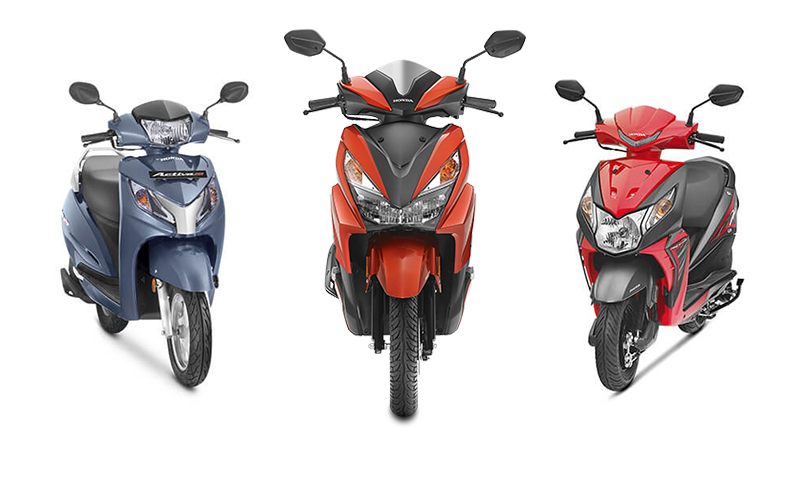 Yet again, there is a strong resemblance with the Honda Dio, which happens to be its major competition. Moreover, Yamaha has a scooter for each rider personality. If you’re a commuter who loves stylish scooter, then Yamaha Ray Z might be the one you’re looking for. No? Alright, how about a scooter classic retro design? 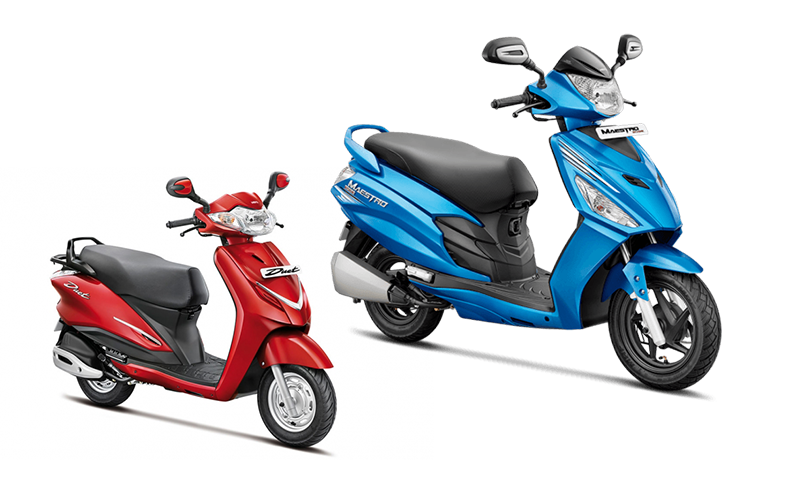 Imagine affordable Vespa with Yamaha touch, then Yamaha Fascino might be the one you’re looking for. In the end, all that remains is the performance-scooter for the youths. Yamaha Ray ZR might be the affordable performance scooter you’re looking for. Which Yamaha scooters did you fall in love with? Would you choose it over other scooters? Share us your thoughts in the comments down below!